deck, patio or sidewalk look like new! 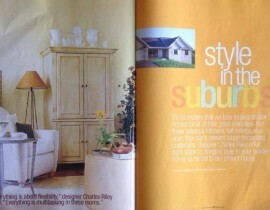 to give your home a whole new look! while preserving the exterior's surfaces. with a fresh coat of stain! with a simple coat of paint! Our painting includes a wide range of residential, commercial & industrial products to fit the needs of each project for longevity and preventative maintenance to give your home or facility a clean appearance for years to come. Our pressure blast cleaning can be used to remove loose paint, mold, grime, dust, mud, and dirt from surfaces and objects such as decks, patios, driveways, sidewalks and planters & yard ornaments, making them look brand new again! 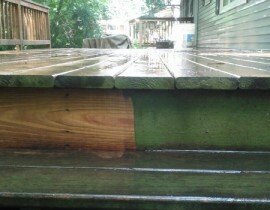 Maintain your wood deck or pergola and keep them looking new with regular staining. We use only the finest materials to ensure you have the highest quality finish. Get your deck ready to show off at your summer parties! We offer drywall repair for damage due to water or if your pup has decided to take a chunk out of the wall. We can also update your walls with a new modern look by removing that wallpaper and adding some color to decorate your life! At JP Interiors, LLC our mission has been to always give our clients & customers the highest quality service with competitive pricing. Our goal is to listen close to our client & customer needs and act promptly to achieve the quality and worry free results they require for their investment. JP Interiors, LLC is a lead safe certified firm that is always learning about the latest environmentally safe products on the market today. We use low or zero VOC (Volatile Organic Compound) paint materials whenever possible. We will always continue to improve our knowledge through education & training to give our clients and customers the highest quality results and safety for many years to come. JP Interiors, LLC will set up an appointment, call ahead of time to confirm appointment and show up on time. JP Interiors, LLC will respond with a comprehensive written proposal within 48 hours after viewing the job/project. JP Interiors, LLC always maintains that the job/project is prepped thoroughly and is always clean at the end of each day. The owner of JP Interiors, LLC communicates well with his clients/customers. He is easy to get in contact with and is fully committed to all jobs and projects. JP Interiors, LLC is a friendly, honest & clean company that will treat your property with the upmost respect and care as they would their very own. 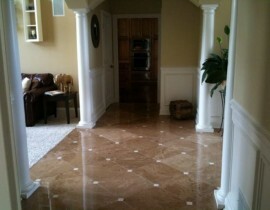 JP Interiors, LLC has very good attention to detail and will respond promptly to complete whatever is addressed. 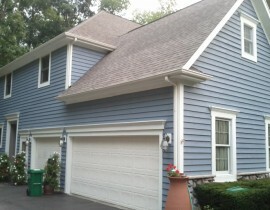 JP Interiors, LLC is a custom quality paint company that uses only premium painting materials, tools and supplies. Check out some of our most recent work in our Photo Galleries.